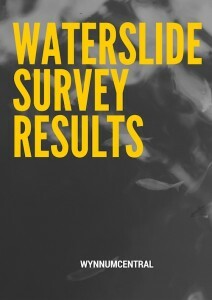 Thank you to everyone who completed our waterslide survey – we have had 73 responses to date. Here are the results, showing that 87.6% of respondents supported the idea, with only 10.7% against. Interestingly, residents of the section of Cedar Street that would have been closed for the event were 3:1 in favour of holding it. At WynnumCentral we were obviously disappointed we were not able to get this event over the line with Brisbane City Council. Perhaps attitudes will be different next year and we can bring the event to Wynnum then. The City Slider – the organisation that runs these giant waterslides – loved the idea of running it in Wynnum, both from a ‘beautiful location’ point of view and a ‘contributing to the local business community’ point of view. We will keep the survey open on our ‘Surveys‘ page in case anybody wishes to add to the debate. Redlands city council are ‘smarter’ in so much as they see opportunities, than BCC and i am disappointed they have the opportunity to have it first. My business is situated on the corner of Bay Tce and Cedar St. One request would be to still allow access for parking for my clients. I do think that the slide will create some interest to this end of Bay Tce , often forgotten in the C B D . There are seven businesses plus several offices including Peter Cummings office in the area. Why not do a permanent slide venue on waterfront? Plenty of room off esplanade , a long drive with opens spaces that are under utilised. Promotion of the UNIGUE wading pool also can be a tourist destination if some tweeks were made to the wade pool.I think some brain storming would develop this area into a interesting place for locals & visitors. 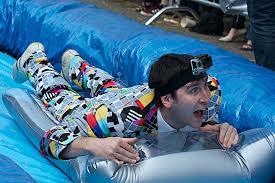 I understand the water slide was run successfully in Elizabeth St in Hobart. This one of Hobart’s main streets and the council and residents managed to cope with the temporary closure. Why is BCC so risk averse? Any event aimed at families should be supported . Media coverage had led me to believe that it was due to uprising of Cedar Street residents that prevented this event from happening. Interesting to read your article saying that this was not necessarily the case. Wynnum should have had it. It would have bought even more people than usual to our beautiful waterfront on the weekend. Use one of our parks in Manly or Lota but bring the waterslide to our bayside villages! Would have been such a great thing for the area to bring people here and to spend dollars. And fun for everyone! Next thing is a wave machine for the wading pool. That would be very cool!! why was cedar st rejected. Wow, could you make the questions any more biased towards the outcome you are hoping for? They upgraded with new bitumen in cedar streets now nothing. This money spent could have gone to ratepayers money elsewhere where needed if not already approved for this event. Brisbane city council you should be ashamed as to what our money was spent on before committing to our special event. It would have been a fun event for Wynnum to have partaken in. It’s a shame it has gone to Capalaba instead. Perhaps it can be held in Wynnum at a later date. When was the idea of a water slide mooted? Why can’t the local residents have a say ANSWER:- when it is too late!!!! I think it’s a damn stupid idea. One off events like this are a great way to help bolster support for ongoing local initiatives like the twilight markets. I live in Chestnut Street, two streets along from Cedar Street. We would I’m sure have been inconvenienced too with traffic etc but it would have been so worth it to bring people to the area, Wynnum is such a great place and could be even better with the right investment and exposure. This pertains to the amazing manly Halloween parade.still in its infancy but impressive.Even more impressive was the crowd ,young , mature,and smiles the entire route.The bayside should look at the popularity of this one day event and stretch it out for 3days- not to long not to short.Many towns /villages in other areas of the world capitalise on Halloween ,the fun ,the mystery, and ability to relax and enjoy costumes (those that do embellish feel young again and inconspicuous as know one recognises your neighbor as a vampire ,ghoul, or even as a female/male dressed as opposites.even the the most innocent of costumes is acceptable.No one is ridiculed when Halloween arrives (unless dressed as Hilary Clinton -LOL) as all costumes and dress allowed.If Wynnum /manly businesses came together and did floats with Halloween theme yet promoting that business or the bayside -think of the attention as the only Halloween festival in Aus – for now. Let’s face it the popularity is increasing whether like or not. I heard manly’s parade largest in Aus. And manly is not a “city” , thankfully. Everyone likes a partay , everyone would love a 3 day celebration or just a larger inclusion of businesses etc..with Halloween parade . I truly was shocked at the large attendance of all especially non-locals ,for as far as the eye could see.I was across from Manly Hotel at parade time. The inclusion of food stalks, rides etc.. Is great . I was surprised and saddened that all was being dismantled by 10-11pm! Why not 1-2 more days? I have diarrhea of the mouth it’s just that really feel this would be an attention grabber for bayside as a destination for those looking for something different to see ,do ,and even better participate .cheers to All Hallows’ eve 2016!